Earlier this week, Rakewell’s attention was drawn to Berlin-based publication Electronic Beats, an ‘innovative cross-media portfolio’ sponsored by communications giant T-Mobile. The current issue features a guest contribution by no less than outgoing Tate Modern Director Chris Dercon, who for reasons unknown has been tasked with reviewing a coffee table book about Berlin ‘superclub’ Berghain. Berghain’s logo, which Dercon describes as ‘a bio-political self-representation of the clubbers’. However, any hopes that the notoriously cerebral Dercon might have spent his allocated word count hymning the joys of glow sticks and Minimal Techno must sadly be tempered. The tome, entitled Berghain | Kunst im Klub, is dedicated to the artistic projects commissioned by the nightspot over the years, and includes contributions from the likes of regular collaborator Wolfgang Tillmans. 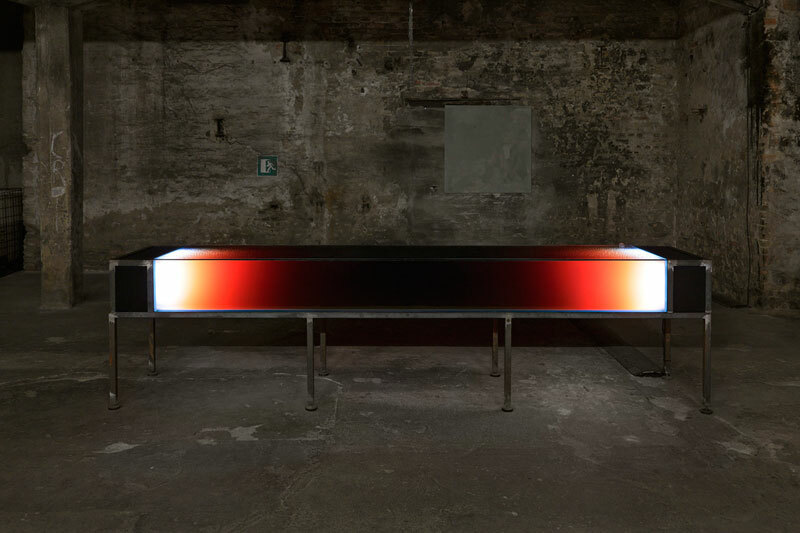 As far as fluids are concerned, Sarah Schönfeld’s Hero’s Journey (Lamp) from 2014, an illuminated glass case filled with a thousand liters of urine she collected and preserved in the club’s toilets, is one of the most poignant works on view. The urine shines like the gold in a Byzantine church. It is an image of salvation. Piss Christ eat your heart out. For his part, the Rake can only observe that under Dercon’s watch, Tate Modern’s toilets have remained mercifully unblocked. Hero’s Journey (Lamp) by Sarah Schönfeld. Piss Christ, eat your heart out. Tasteful? The Rake is not one to judge. 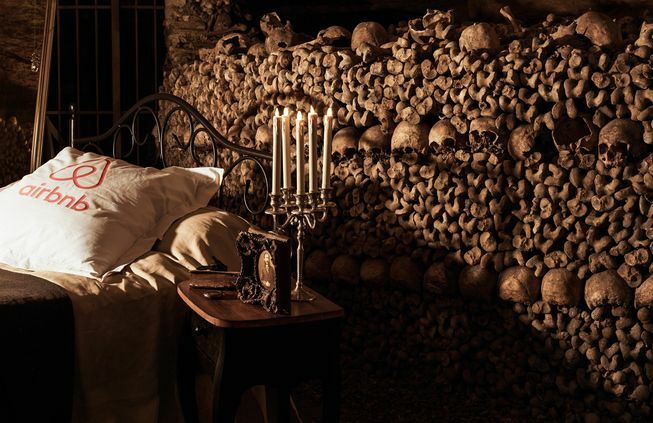 The US start-up’s plans for a giant sleepover in the city’s subterranean ossuary have the backing of Paris mayor Anne Hidalgo, but have provoked considerable protest on moral grounds. Apparently, as the catacombs are classed as an ossuary rather than a cemetery proper, there is no legal reason why the promotional gimmick – sorry, ‘once in a lifetime experience’ – can’t go ahead. Whether or not it should is another question entirely. According to the London Evening Standard, Damien Hirst is to reopen his Pharmacy restaurant on the premises of his new gallery in Vauxhall, South London. Rakewell plans to lunch there as soon as appetite allows and will provide a full and frank account of its victuals. All he can hope is that the experience is an improvement on his visit to the eaterie’s original incarnation. Believe him. It won’t be hard. Finally, a quick update on the Rake’s latest story. In Berkshire, Uri Geller’s planning woes have been complicated yet further after one aspiring art critic left a bag of dog faeces hanging off his council-baiting spoon sculpture. Next week, Rakewell will be chronicling the splendours and miseries of London’s Frieze week. If readers encounter any scurrilous behaviour, be sure to send it to rakewell@apollomag.com.